A couple of times a month, the tinies and I like to have a theme night. We pick a book we have been reading or a movie that is fun to watch and we have themed food and activities that fit that movie. Tonight’s selection was the Princess and the Frog – and of course, it was the Disney version. Since we are Disney addicts in this house, we default to the Disney version if there is one, usually. We had Tiny’s best friends, Ladybug and Firefly over, as well as Daddy Bug to round out our crew. What a day! The sounded like a heard of squealing elephants as they chased each other, laughed and were generally menaces to society. They were adorable. Nothing makes me happier than being in the kitchen as four little heard members race by, the tiniest on a wee little scooter, bringing up the rear – giggling like a maniac. Chicken and Sausage Gumbo, corn on the cob, lily pad quesadillas (we have a pick eater that LOVES quesadillas, so they HAD to be themed), frog prince cookies and Tiana’s man catching beniets. YUM! 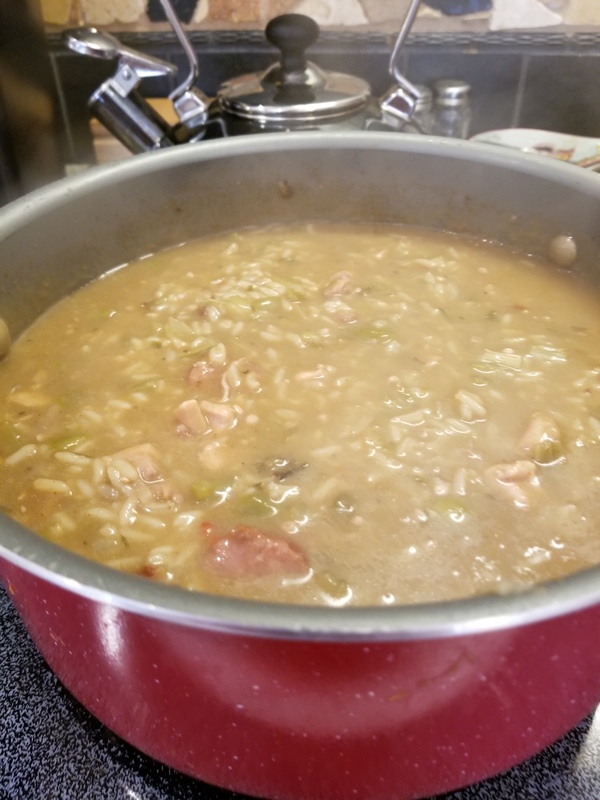 One of my favorite gumbo recipes (find it and more in the recipes section of my Pinterest board) is linked. Since our tinies don’t love seafood, I skipped the shrimp in this batch, but it was loaded with sausage and chicken. Add in a little hot sauce and it was perfect for this cold day. 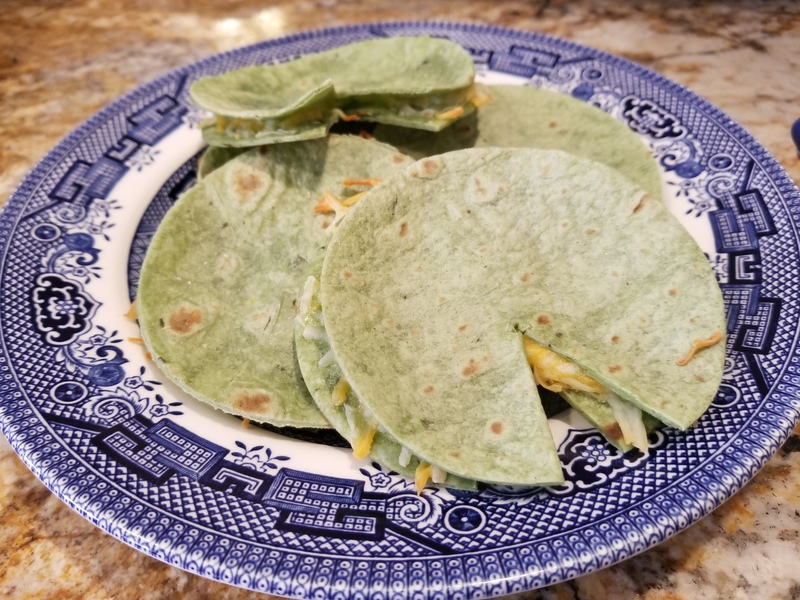 The lily pad quesadillas were a big hit. They turned out so incredibly cute! 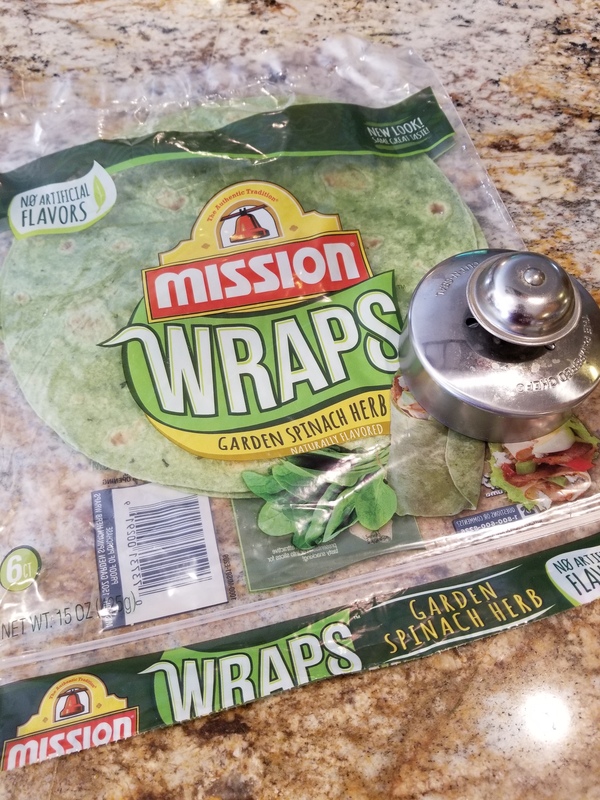 I used a round cookie cutter to cut Spinach tortillas into small rounds. 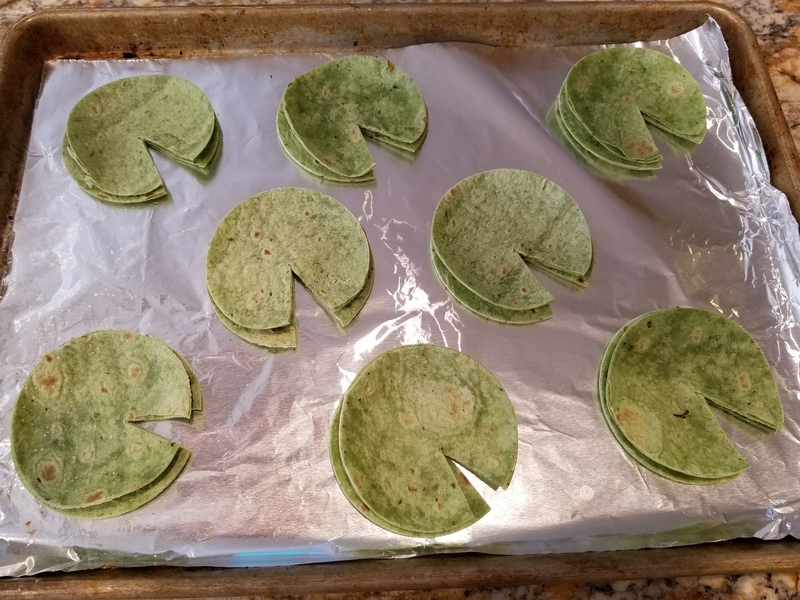 Once you cut two circles for each quesadilla, cut a small wedge from each pair so that they look like the leaf on a lily pad. Fill with the cheese of your choice and let them sit on the counter for about 30 minutes. 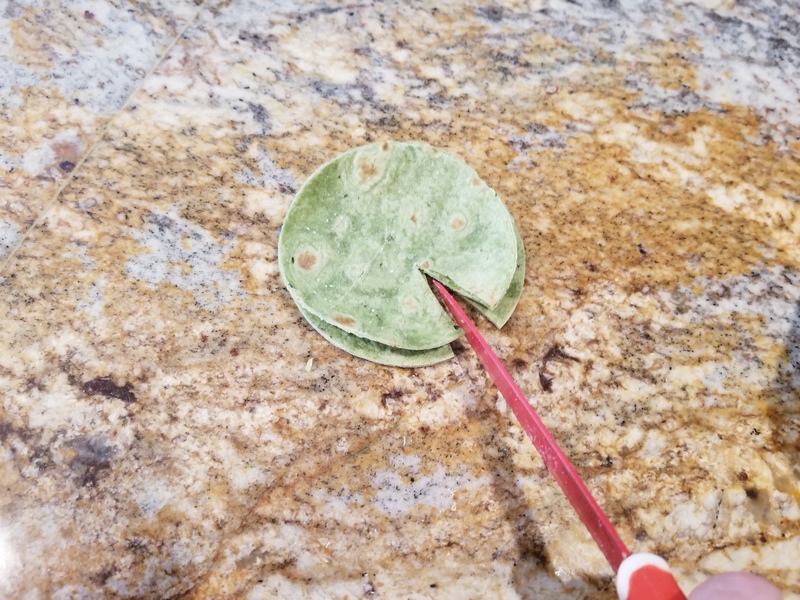 The top tortilla will being to dry in the air a bit and curl upwards to look more like a leaf. Adorable! Look at the way the top tortilla is already curling a bit! They bake up crispy on top and oh so gooey on the inside. If you prefer softer quesadillas, you may want to brown them on the stove top rather than met the cheese in oven. Pop them in the oven for 10 minutes on 350 and you are in business! 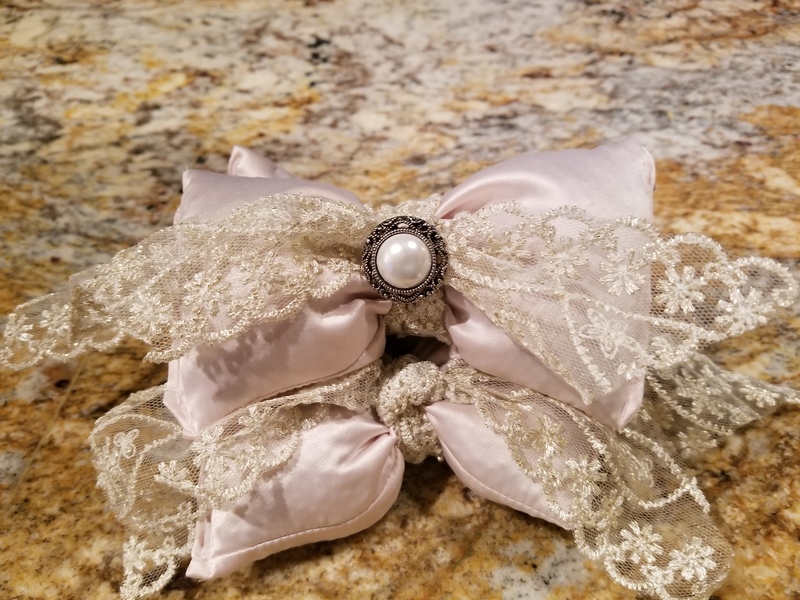 Finally, the finished product! Admittedly, I get a little too excited about theme night. 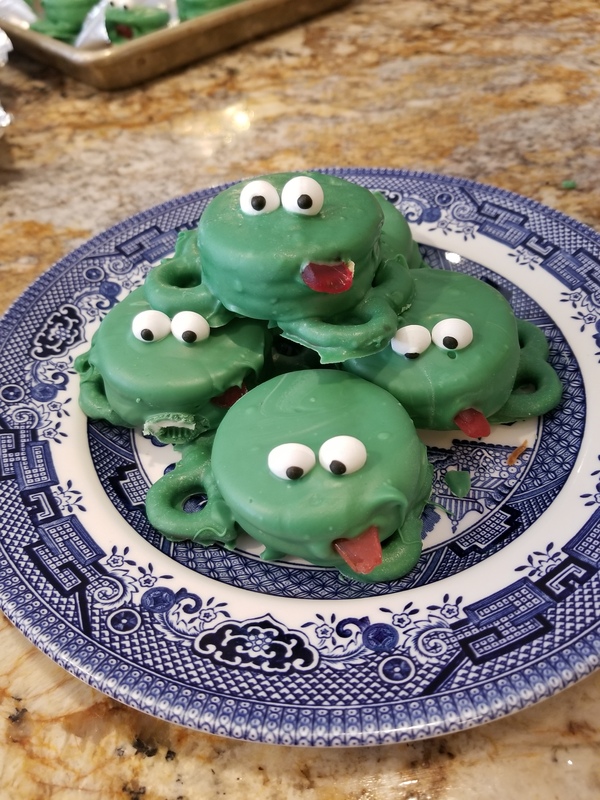 The corn on the cob is pretty self explanatory, but the frog prince cookies, those are fabulous! Who doesn’t love a frog prince? And if he doesn’t turn into a prince when you give him a smooch, you can always teach him a little lesson – yum! These little green goodies were super simple to make. You simply use candy melts (I like Wilton brand that I get from Michael’s) to cover oreos or your cookie of choice. The feet are made with miniature pretzel twists – one for each foot. Place the still wet oreos on top of the feet. While the chocolate is still wet, add two little eyes on top and cut a red gummy into little slices. I then cut the slices into halves and affix the flat side to the middle of the cookie to look like a little tongue (notice the one little guy on the left – looks like someone silenced him early on…). Finally, Tiana’s Man Catching Beniets. These were pillowy, sugary little delights. 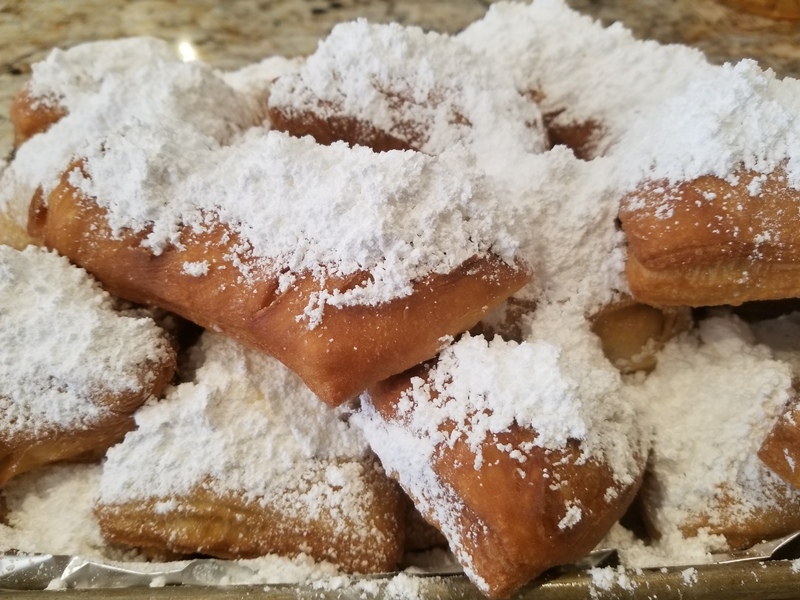 I love beniets and coffee – while I always try, I can never make them like Cafe DuMonde’s, but I sure have fun trying. They always make me think about visits to the Big Easy with Papa Bear in the early days of our relationship – street artist playing jazz music, chicory coffee, and lazy Sunday mornings near the river. 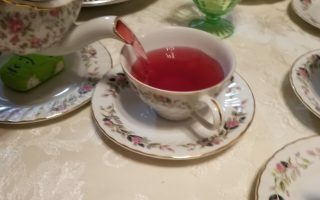 I linked the recipe I used above, happy baking! What a great day. The afternoon was filled with cooking, great company and lots of tiny people and giggles. Couldn’t ask for more! Next ArticleThe Laundry Never Ends!